As promised, a couple of snaps from my beloved’s phone. 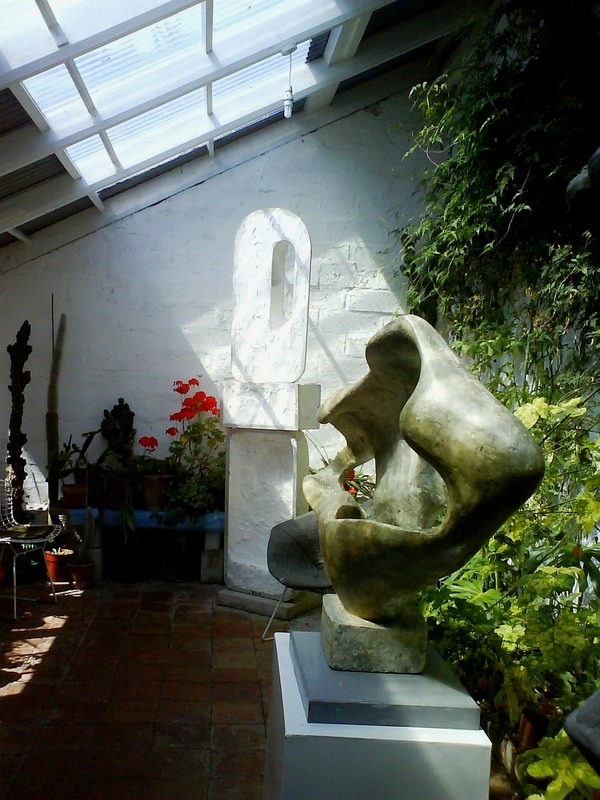 Love what ths light’s doing in this shot, it’s almost as though it’s being passed between the sculpture and the window. 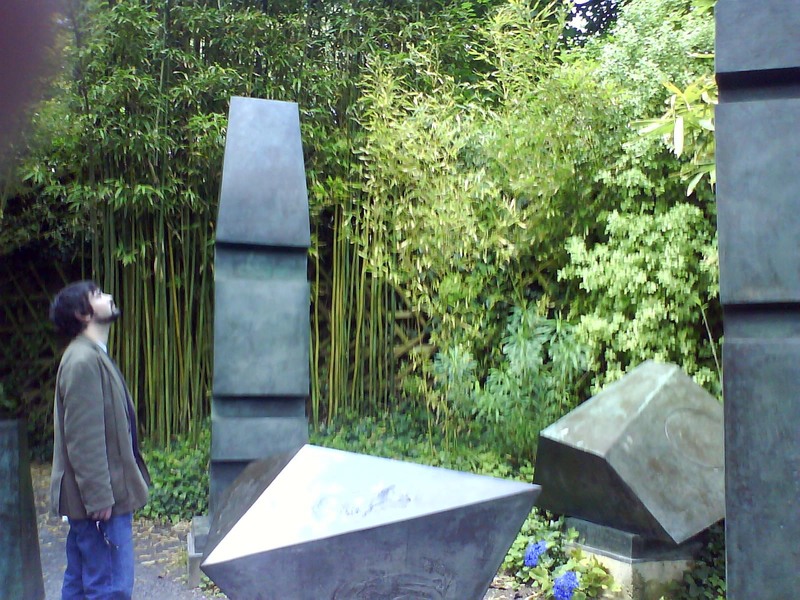 Me, listening to a conversation between magic stones. I’ve just been reading the Waterstone’s author story on a postcard stories, which are fab. I think my faves are Lauren Child’s and, of course, Neil Gaiman’s. Which do you like? Oh! 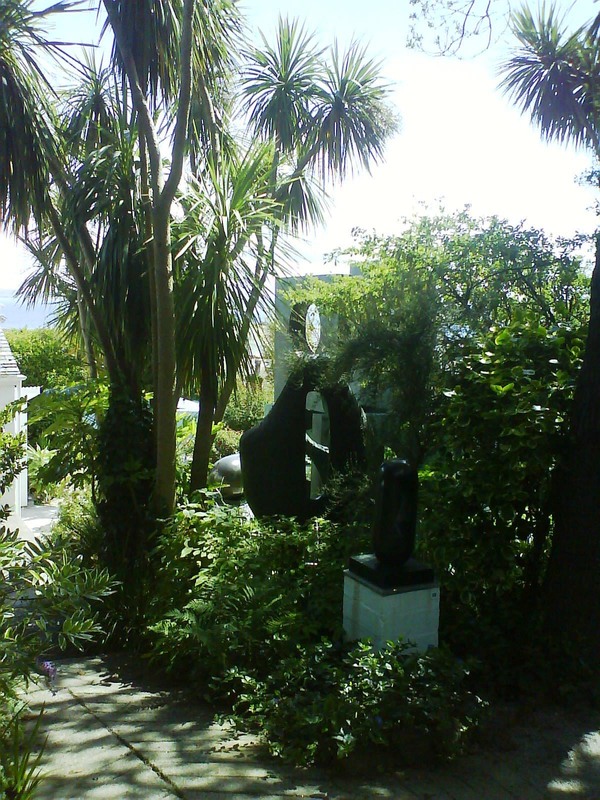 I love Hepworth’s garden. I’ve been several times.I ordered the book of the Waterstones postcards. Gorgeous photos, Nik. I’ve been there, many years ago, it is such a wonderful place, it just cries out to be photographed. And there is nothing like Cornish beaches, in my opinion. 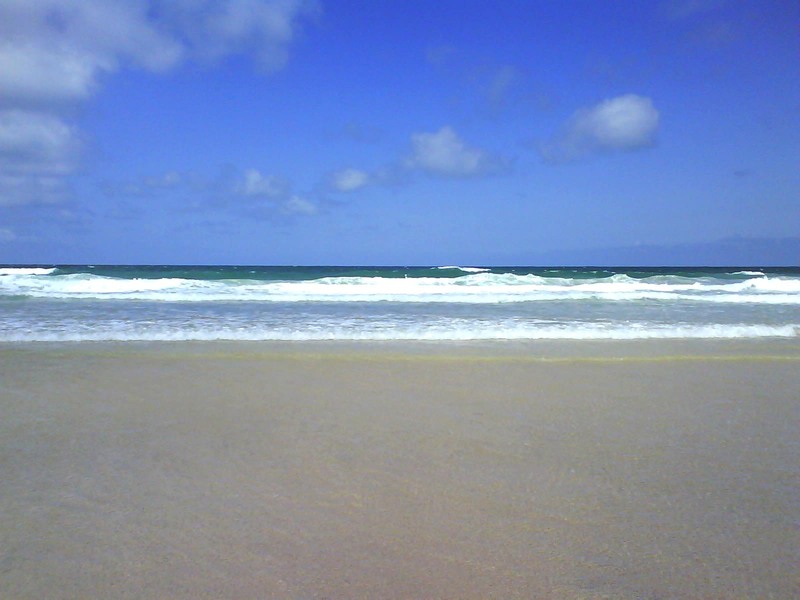 I remember a stunning beach at Porthcurno, wonder if it’s still there….